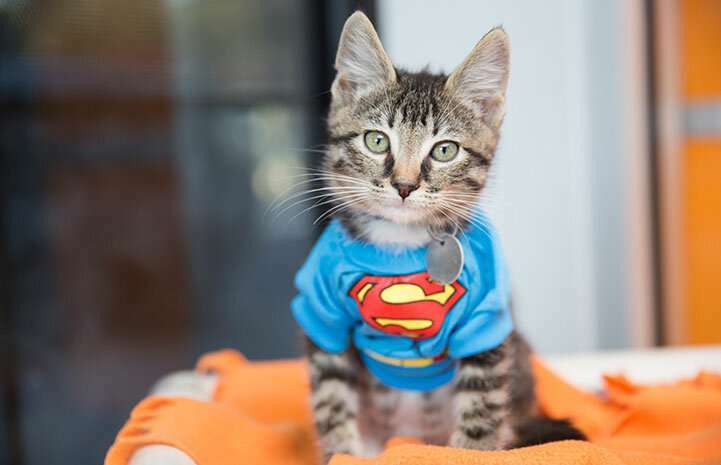 The Thundercats have nothing on this team of feline heroes. It's an issue that has puzzled veterinarians for years. A cat comes in with chronic diarrhea and vomiting, symptoms that occur in gastrointestinal lymphoma and inflammatory bowel disease (IBD). While IBD is the most common reason for these symptoms, veterinarians do not have an effective method to confirm IBD or rule out gastrointenstinal (GI) lymphoma. A lack of research into the root cause of these conditions (diet, environmental toxins, viruses or bacteria, genetics) leaves open questions about the best way to treat patients. "We're hoping to find answers to some big questions, including what causes this cancer in cats and is there a relationship between IBD and GI lymphoma" said Dr. Craig Webb, professor of small animal medicine at CSU's James L. Voss Veterinary Teaching Hospital. What is the best way to confidently distinguish between feline IBD and feline GI lymphoma? What genetic and environmental factors contribute to the development of IBD and lymphoma? Does chronic feline IBD progress or transform into feline GI lymphoma over time? What therapies can be developed to treat IBD and GI lymphoma? Those big questions require big thinking and a great team. Feline Cancer Core investigators bring a wealth of experience and expertise. In addition to work using stem cells to treat cats with IBD, co-investigator Dr. Tracy Webb has an extensive background in GI immunology. Dr. Anne Avery, a veterinary pathologist, has spent much of her career studying lymphoma while Dr. Sue VandeWoude is a feline infectious disease specialist. "One exciting aspect of this project for me is that we are addressing a complex challenge in veterinary medicine with a collaborative, 'Team Science' approach to enhance our chance of success," said Tracy Webb. Prior to leading this project, Craig and Tracy Webb have been exploring the use of stem cells to treat cats with IBD. Their work was based on treatment protocols for people suffering from forms of IBD, including ulcerative colitis and Crohn's disease. "When you simply remove the word feline from our study questions, you have translated this project into one that has direct and significant impact on the human condition," said Craig Webb. In particular, the project's focus on environmental triggers may prove very relevant to people. "Cats live in the same environment as their owners, breathe the same air, drink the same water" said Craig Webb. "Through our study, we may find triggers that place both cats and people at higher risk for developing disease." Laboratory space is ready to go and several new pieces of critical equipment are in place. Now they just need patients. The goal is to recruit 100 owner enrolled cats diagnosed with either IBD or GI lymphoma over the next two years. "The study is planned to be large scale in hopes that we can get significant results and truly make a difference in cats and other species as well," said Tracy Webb. "Our infrastructure is ready to go," said Craig Webb. "All we need now are the cats."